Plus: How to filter through all of the hair conditioners out there and find the best option for you. Conditioner is one of those tried and true hair care staples that effectively works to nourish and protect your hair. We just love how hair conditioners work to make our strands smooth, soft and more manageable in minutes! One of our favorite aspects of conditioner is that it’s tailored to your specific hair type, where it’s so important to use your designated conditioner as a system with its respective shampoo. Super soft strands are easier to achieve than you think once you incorporate the right hair conditioner into your routine. Curly hair types tend to be on the drier side. 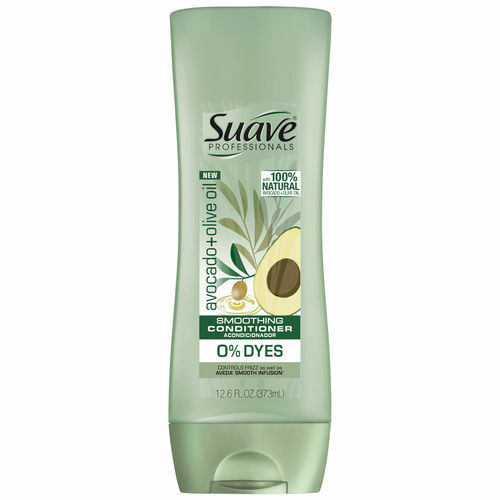 We recommend Suave Professionals Avocado+Olive Oil Smoothing Conditioner for women who have to be extra mindful about frizzy strands. This conditioner is made with 100 percent natural avocado and olive oil which help leave your hair super soft and touchable. You’ll instantly feel how smooth your hair is as your rinsing the product out, but the best part about this conditioner is that your hair will stay smooth for up to three days. That means frizz-free, super soft hair that holds this incredible texture even in high humidity. 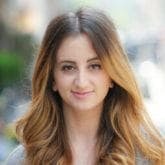 If your hair has undergone a round (or two) of hair dye, then you’ll want to choose a conditioner that works to strengthen, smooth and maintain your hair color. 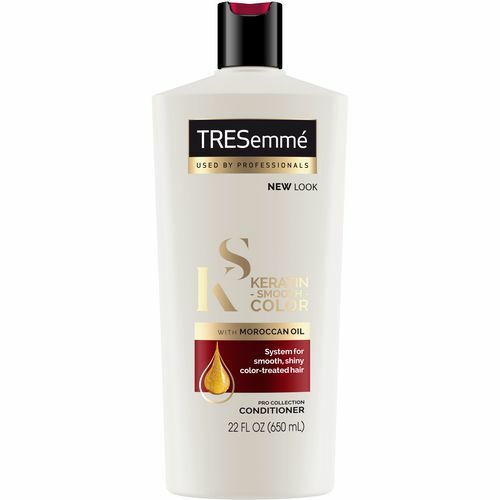 TRESemmé Keratin Smooth Color Conditioner is formulated with keratin and Moroccan Argan oil that provides high shine to keep your hair color nice and vibrant. Bonus: It works to provide your hair with up to 72 hours of frizz control. If you’re a hot tools addict (raises hand!) and your hair has seen better days, you’ll want to opt for a reparative conditioner that also serves as protection from future damage. 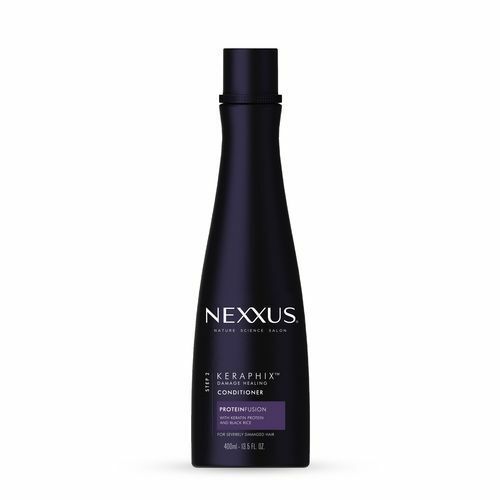 Nexxus Keraphix Damage Healing Conditioner offers a reinvigorating layer of protection in its renowned protein-laden formula that helps replenish broken bonds and leaves you with smooth, frizz-free, gorgeous hair. 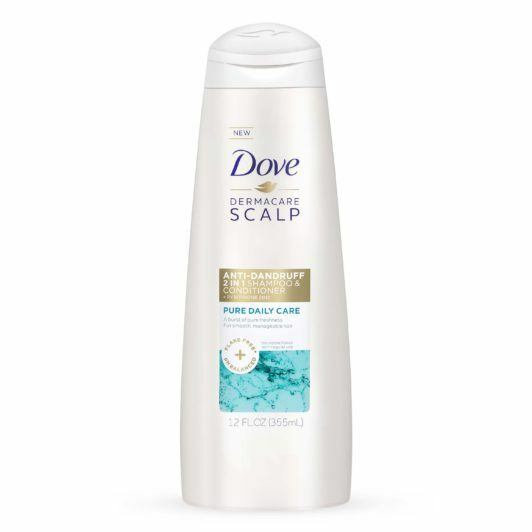 If you suffer from dry scalp and hair that could use an extra dose of moisture, you’ll want to try Dove Pure Daily Care Anti-Dandruff 2-in-1 Shampoo and Conditioner. This product does two jobs in one and takes care of your scalp as it renews the natural moisture in your strands. 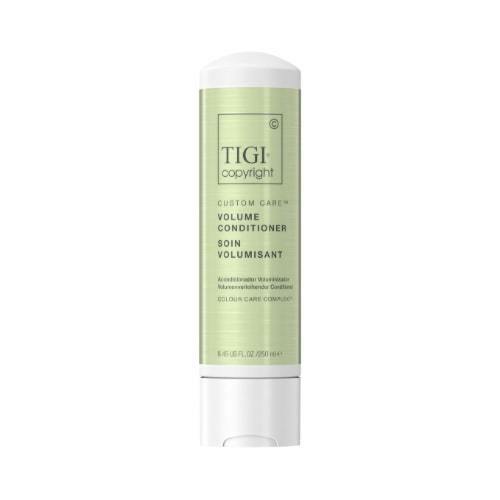 TIGI Copyright Custom Care Volume Conditioner is the secret to soft hair and voluminous roots. It works to leave you with enviable volume from your roots to your ends, leaves it full of movement and bounce and helps protect from heat damage. What's the correct way to deep condition hair?